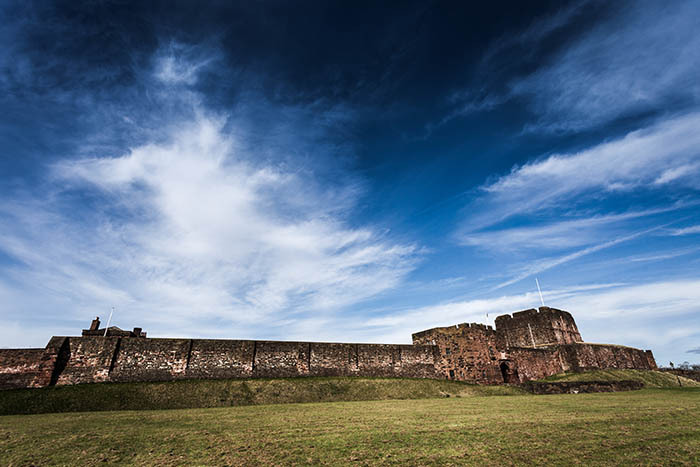 This is a Photoshop technique originally discussed by Simon Allen MPAGB, EFIAP, of Dumfries Camera Club. There are several ways to convert a colour image to toned monochrome in Adobe Photoshop, here we extract the tonal information from a colour image (8 bit jpg) and add a blue tone in a way that gives you full control over the process. This will open the channels palette with 4 channels: a, b, lab and lightness. Click on the Lightness channel. This will switch off the other three. Select Image > Mode > Greyscale. This will leave you with a gray channel in the open palette. Hold down CTRL + ALT and click on the thumbnail image in the channels palette. 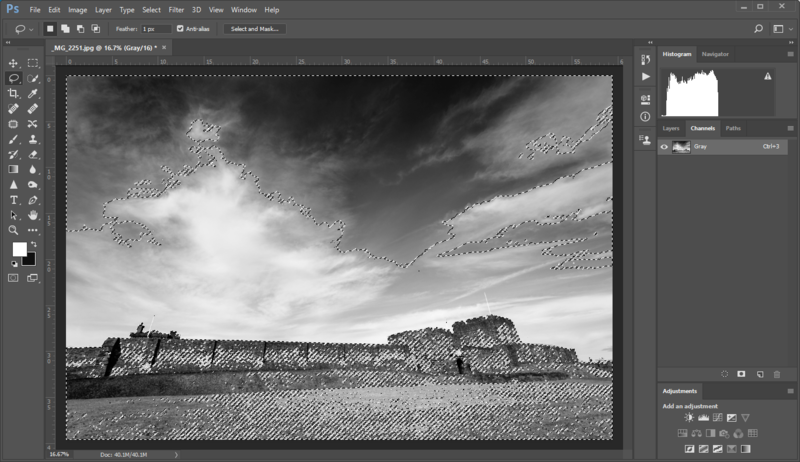 This will select all pixels between white and mid-gray. If you have the histogram window open, you will see this clearly. We actually need to select black to mid gray, so click on Select > Inverse from the main menu or press CTRL + SHIFT + I. You can see from the histogram in the image below that the histogram is showing tones from black to mid gray. Open the layers palette: Window > Layers from the main menu..
Now change the image back to colour, otherwise we can’t add a colour tone. Select Image > Mode > RGB Colour from the main menu. Now we will create the layer that we will use to apply the colour tone on the image. Choose the colour that suits your image, if you want to warm it up, choose a colour between yellow and red, to cool it down, choose a blue (you can always change this later and adjust the opacity to get the exact tone you want). 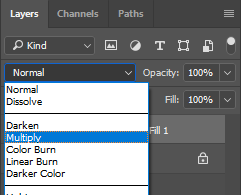 Select Layer > New Fill Layer > Solid Colour. 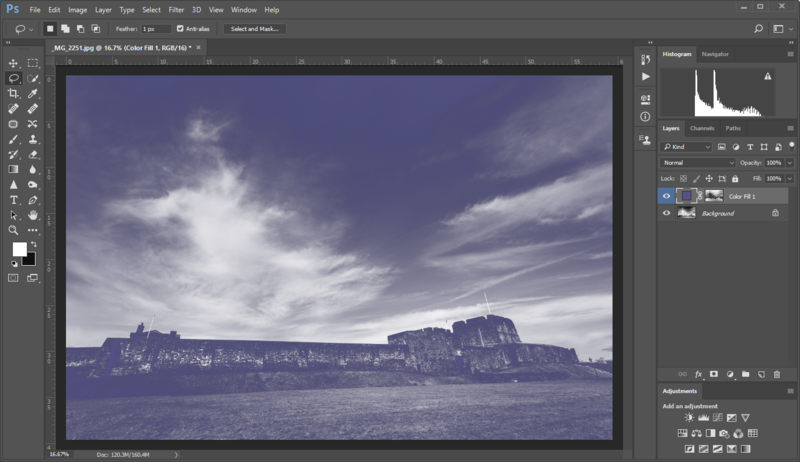 A new layer window will open, click ok to get to the colour picker. Select a colour then click Ok. Your image will look washed out, this is normal. You now have a toned image, but it is likely that the effect will be too harsh. 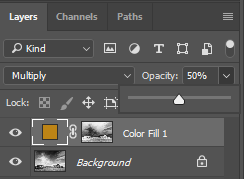 You can either adjust the opacity or click on the colour square on the ‘Color Fill’ layer to choose a new colour. Save the file as a PSD to preserve the layers and bit depth (if you’re working on a 16bit image). You can now export the file or continue working on it. The three images below show the original photo, the greyscale image (step 6) and the final image.